Many Italian-Americans can trace their heritage back to this mountainous region east of Naples and highlighted by the city of Avellino and what a treasure this area is: abbeys, castles, sanctuaries, vineyards and medieval towns. Less than an hour from the Amalfi Coast but worlds away. Visit before it becomes Italy’s next tourism hot spot! 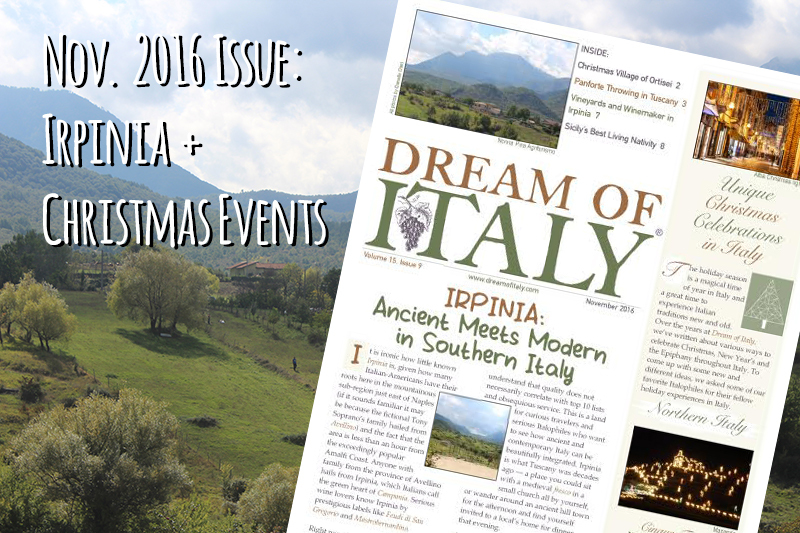 We asked our favorite Italophiles for their favorite, coolest holiday season celebrations throughout Italy and the suggestions are fun and fabulous – a panforte-throwing contest in Tuscany, a night row on the canals of Venice (complete with vin brule), an incredible living nativity scene in Sicily and many more.